Customer Picture Number 13 Selected. Cool Car decals applied. 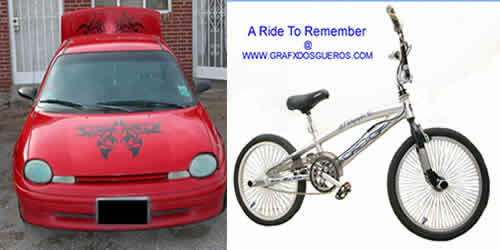 Bike and car graphics. The car has tiger tribals on the hood and trunk. Thanks to Ivan for the exposure!